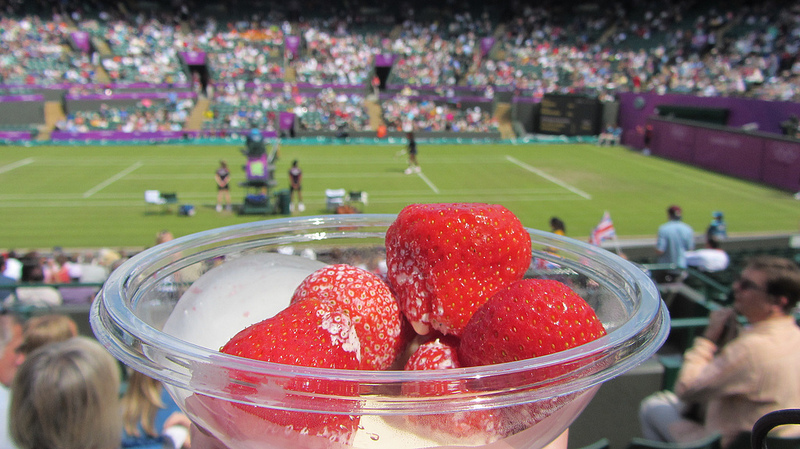 It’s that time of year when we start to read reports about how the tennis stars train as we come closer to Wimbledon. We get really excited when we hear that they have been using Pilates to perfect their performance and prevent injuries. All of the top-seeded players have some form of Pilates type exercise in their conditioning programme, and with good reason. We will look at the mechanics of the tennis stroke and how the full body needs to be in tip top condition to get the most from all the hours spent on court working on technique. We will also explore a few exercises which are targeted at improving the stability and mobility required for great tennis performance. Just last week, Andy Murray’s coach, Ivan Lendl, was reported saying that he could see areas to work on in the British number one’s game, however, he refused to go into details. Unsurprisingly, the coach has to keep much of their star’s training programme top secret, as it’s not something they want the opposition to know anything about. For the same reason, we’re unlikely to be able to find out exactly which Pilates moves Andy has been using to improve his performance. We can make a good guess at it, knowing where a tennis player needs to focus in general. Tennis is a whole body sport, yet at the same time it’s one-sided. Watch a player bend their knees as they prepare for an explosive serve, and see the body effectively coiled, springing into acceleration to connect racquet with ball at exactly the right moment. Perhaps not so beautiful in us amateurs, but we can dream. The whole body is producing the power required to accelerate the ball to blistering speeds of over 100 MPH, as the power is transferred from the ground, through the legs and up into the torso, the shoulder, arm and finally the wrist. If there is any weaker link in that chain, it’s a point where there’s a risk of injury, and could also contribute to a loss in power. Keeping every link in good condition improves efficiency of each stroke and contributes to a great performance. As with golf, hockey and other sports where power is transferred into a bat or club, much of the power comes not from the arms, but further down the chain, in the spine and pelvis where much more power can be generated. If the spine cannot rotate in preparation for driving behind the arm, the resulting travel of the ball will be reduced. Many training hours will be spent coordinating footwork with upper body power, so even a tricky shot will be as well supported by the lower body as possible, even when the feet are moving. The one-sidedness of tennis means that there is a risk of developing big imbalances between the side where the racquet is held and the other hand. If a player were only to spend their day on court, working on technique and power, they run the risk of causing injury due to the dominant side pulling the non-dominant side, resulting in overall poor alignment. This is why the off-court conditioning of a player is so important, to redress any imbalances that are developing, or prevent the risk in the first place. 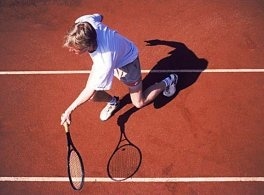 In addition, the tennis player needs to be well prepared for the body to take shots in less than ideal alignment. If they can dive for that ball that’s heading for the baseline and return the shot by seemingly contorting their body, then recovering to return the next shot, it will give them the competitive edge. The body has to be prepared for these demands to be absorbed through the muscular systems, and the quicker the body can recover, the more effective they will be in the next shot. As well as producing power, the muscles must have great endurance, especially as we come to the end of the tournament and see the well-matched players going into longer games and matches. An effective conditioning programme will challenge the muscles of the torso and shoulder stabilisers to build the stamina needed to hopefully outlast an opponent. Flexibility, especially of the spinal and shoulder joints is something a tennis player will work hard to achieve and maintain. Being able to reach that tricky shot, could just give them the edge. Having said that, they have to be able to produce power in these positions as well, so a flexible joint is no help unless it’s also supported and protected by good control in the more extreme ranges. A stretching programme will also be included in training, to maintain muscle length, therefore preventing compression in joints, especially the knees. This can help to limit the risk of injury from running and frequent changes of direction, often on a hard surface where a lot of impact goes through the joints. Here is a selection of exercises which are targeted at different areas of tennis performance. Dying bugs – Coordinated movements between upper and lower body while controlling centre. Start in the rest position. Lift one leg at a time into tabletop. Bring the arms above the shoulders, pointing towards the ceiling. Inhale and engage the centre. As you exhale, send the right leg away and the left arm overhead. Inhale, returning to the start position, then exhale as you send the left leg and right arm away. Repeat 10 times each side. Ensure you maintain good control through the centre and do not allow the back to arch. Thread the needle – to work on upper back mobility and power (with resistance) and wrist mobility and strength. Start on hands and knees with the spine in neutral. Take the weight through one hand and thread the opposite hand underneath it, letting the shoulder come closer the floor. Hold for a breath and feel the stretch in your midback. Then reverse the movement, opening the chest to the side and feel the stretch in the opposite direction. Repeat 10 on each side. To make the exercise more challenging, wrap a resistance band round your upper back, holding an end in each hand. Half moons with resistance – to build upper body strength and control whilst improving balance. Stand with a ball or circle between your hands, holding it overhead. Press in on the ball and bend to the side, without letting the hips sway the opposite way, as you exhale. Hold as you inhale and return to the centre. Repeat to the other side. Repeat 10 times to each side. To increase the challenge, do the exercise standing on one leg, ensure your pelvis remains level. Let us know how you get on with your exercises! These exercises are carried out at your own risk. Please see your physiotherapist/instructor if you have any questions.